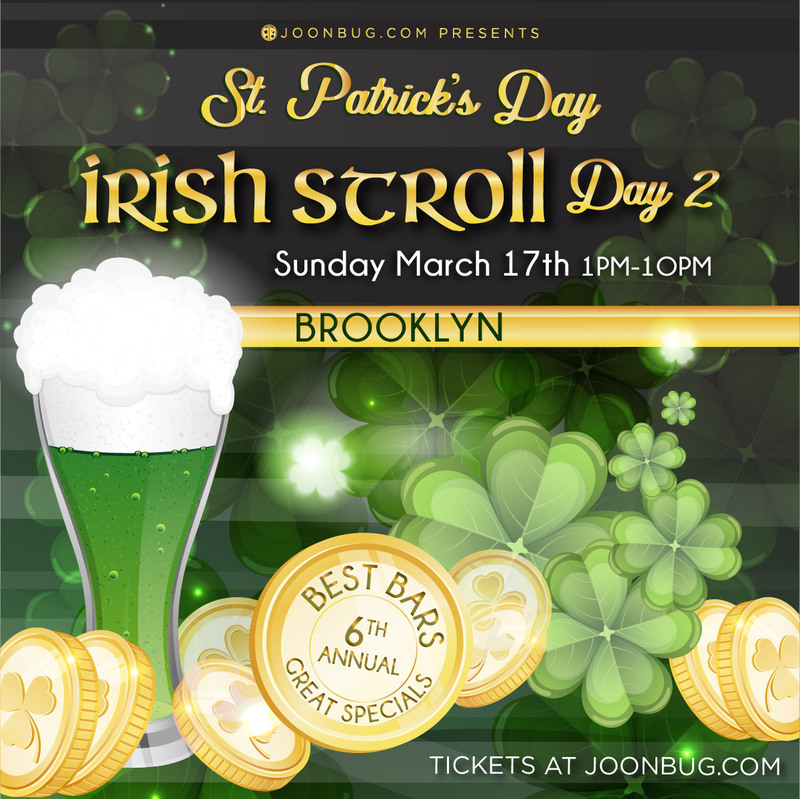 St. Patrick’s Day is here again, Brooklyn, and we plan to celebrate it in full force with the Irish Stroll bar crawl. Bask in the luck and get pished with your celtic cohorts because your favorite bars will be pouring Irish cheer and offering exclusive drink specials. Save your green because Park Slope’s best watering holes are taking away their cover charge for Irish Stroller’s this St. Patrick’s Day. From 1 to 8pm register at the registration site and grab your wrist band and map to get strolling. If you and your Irish buddies make up a group of over four, pick up the group discount option. Planning in partaking in the whole weekend of green festivities? Buy our multi-day pass and get ready to get down all weekend long – Celtic style. We’ll see you this St. Patrick’s Day weekend, Brooklyn!